Edgar has several link shortening options, and both the ed.gr and Rebrandly options can track your clicks for you. Ed.gr is Edgar's free link shortening service. No setup is required, and it is activated when you sign up for Edgar. Links you add to Edgar will be automatically shortened to ed.gr links. Click data for each variation of your post is displayed on the individual history page for each post. 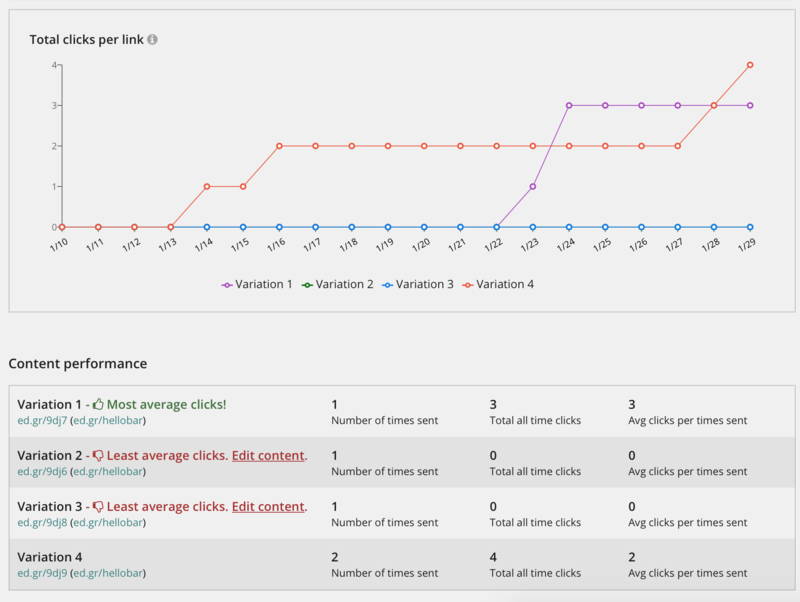 Like a split test or A/B test you might run in your email marketing campaigns, you can see which variations are performing best and which ones you might want to edit or remove. Rebrandly short links are not accepted by LinkedIn. If you shorten your links with Rebrandly, the full length link will be published to LinkedIn. 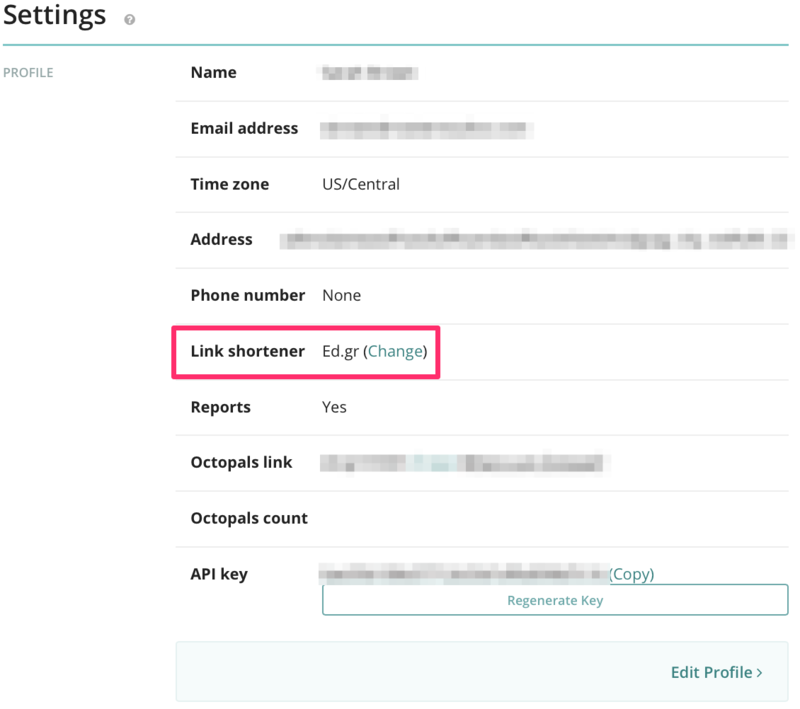 Connect your existing bit.ly account on the Link Shortening Options page in Edgar. All links that you add to Edgar will be shortened using bit.ly. To view click statistics for bit.ly links, please go to Bitly.com and view them in your bit.ly account. Snip.ly has a browser extension that integrates with Edgar. Learn more about installing Snip.ly on your browser here: https://sniply.zendesk.com/hc/en-us/articles/214638963. Please note that click tracking is not available in Edgar for snip.ly links.